BSP S-1502 11pt. 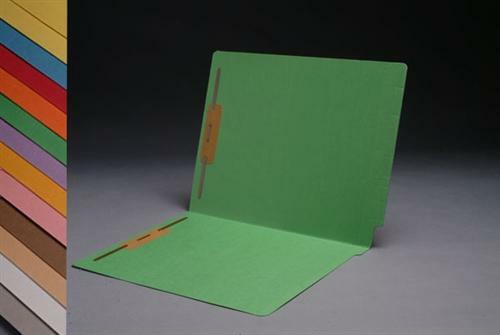 Color End Tab Folder, Full Cut 2-Ply End Tab, 2 Fasteners, Letter Size - The eco-friendly choice for general filing, these folders feature straight-cut tabs for color-coded indexing. Reinforced tab provides extra strength at the point of greatest wear. Made from 10% recycled content. Do you need Custom Color Folders? Can't find folders to fit your needs? 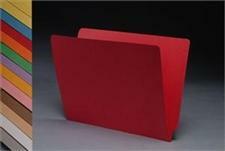 We make Custom Printed Color Folders to your exact specifications. Custom Folders are available in a variety of materials, colors, and fastener positions.